You need to start with an organized and clean notebook, so you can focus on your studying. To that end, have a notebook for each of your subjects, and avoid doodling or making multiple mistakes. A challenge students face when writing notes is keeping up with what the teacher is saying. To be ready to write at a moment's notice, have your writing supplies handy. 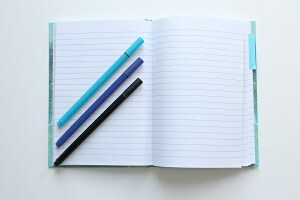 Another strategy you can follow to be a time-efficient note taker is to have a plan. This can include using known abbreviations and writing down main ideas to save some time. While being fast is necessary, you shouldn't forget that, above all, your notes need to be comprehensible. To that end, make them legible and clear, so you don't get confused while studying. Undoubtedly, as you're taking notes, you notice that some information is more important than other. To make that information more eye-catching when you're studying, highlight it. Last, to guarantee your notes are perfect, you need to go over them after you're done writing them. If something isn't clear, ask a classmate or your teacher to clarify right away. Reach all of your academic goals with help from The Tutoring Center, Friendswood TX. Call (281) 488-0101 to inquire about their academic programs or to enroll in tutoring in one-to-one Friendswood TX.